adidas and UK retailer Size? have a special relationship. 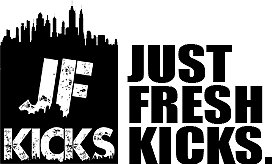 On an almost monthly basis, the shop releases an extremely exclusive pair of kicks. This time around, the I-5923 is back under the knife with a new “Manchester Showers” colorway. Earlier this year, Size? and adidas released their first limited edition I-5923. Titled the “Hawaiian Thunderstorm”, the striking colorway paired bright tropical hues with a pitch black upper. Fitting the theme perfectly, the Thunderstorm sold out immediately. Now, Size? has announced that the rain-themed releases were not quite over yet. 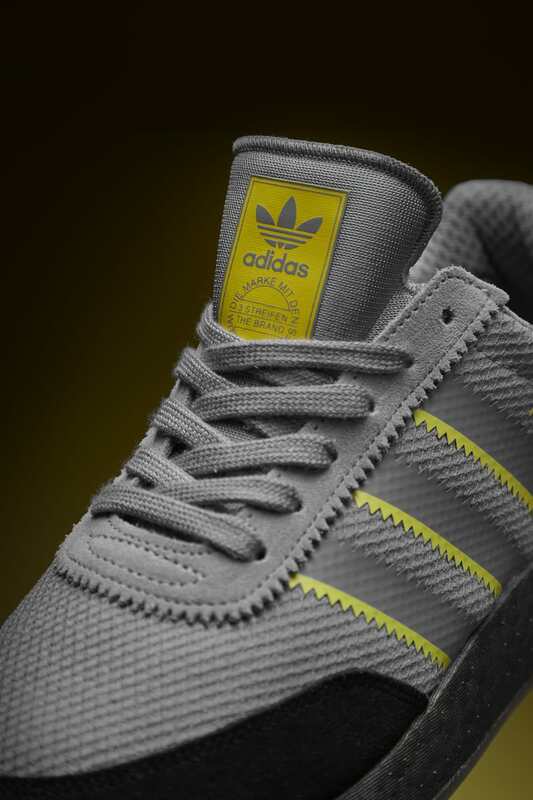 Today, the duo announced the release of part two- this time, the I-5923 will come decked out in a new “Manchester Showers” theme. The Size? x adidas I-5923 “Manchester Showers” is the perfect continuation of March’s initial release. While the earlier model began with a pitch black upper, the new Manchester colorway swathes the I-5923 with a steely grey Primeknit base. The standard suede toe and heel caps of the I-5923 come in black to frame the shoe. 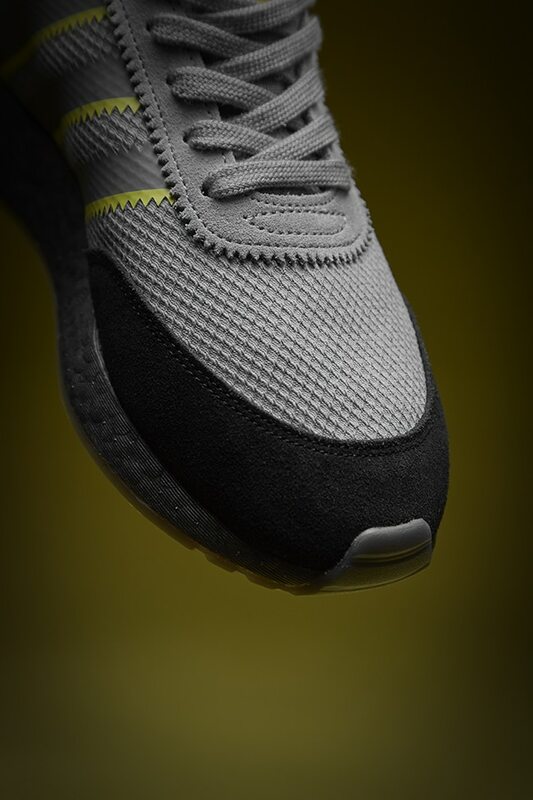 The serrated Three Stripes match the grey upper, with a slice of yellow on the forward side of them, matched by the bright yellow heel tab and tongue branding. Finally, the Size? 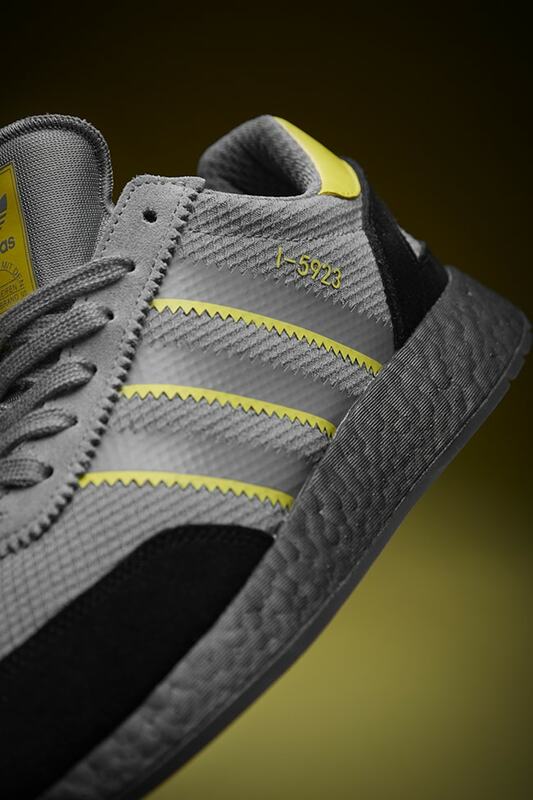 exclusive adidas I-5923 “Manchester Showers” is completed by a grey Boost midsole and outsole. The next Size? exclusive adidas I-5923 will be releasing May 18th, 2018 via the size?previews app at 3AM EST & select size? stores. Limited to only the UK retailer, this specialty pair will retail for 100£, or about $135. 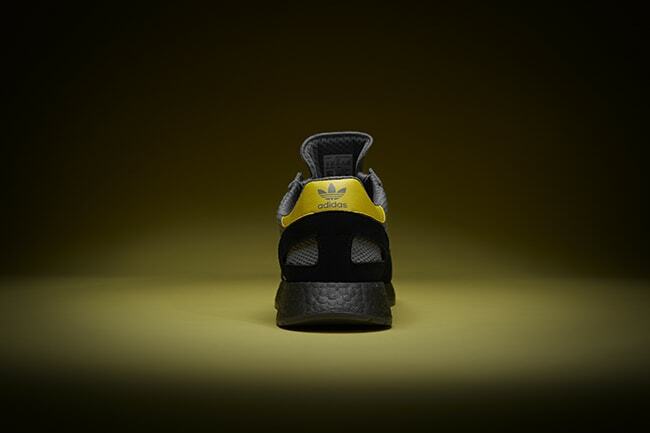 Check out the photos below for a better look, and stay tuned to JustFreshKicks for more exclusive adidas I-5923 news.